I'm always looking to build my collection of timepieces. 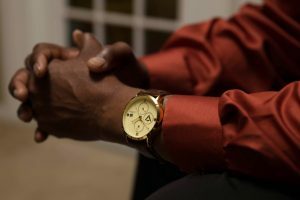 But I can't help feeling some type of way when I see watches being advertised by all-White models; I rarely ever see Black men and women wearing watches. We all know people are more likely to buy something when they see someone who looks like them advertising the product. 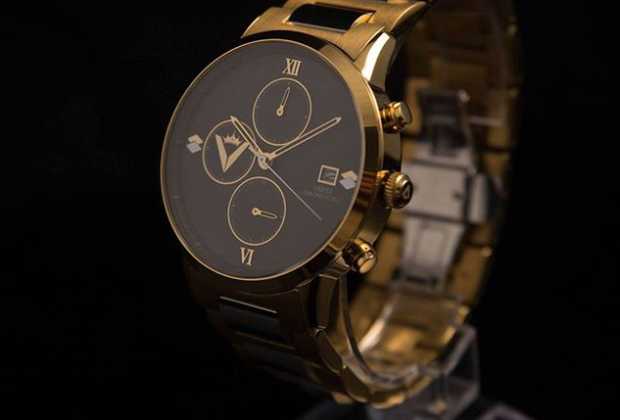 Thus, my next watch will be a luxury watch from Vieryle. 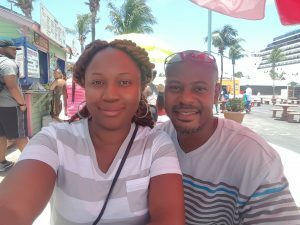 Vieryle was founded just over a year ago by Charles Lamar Watkins and Shirnetrius Latoria Robinson. 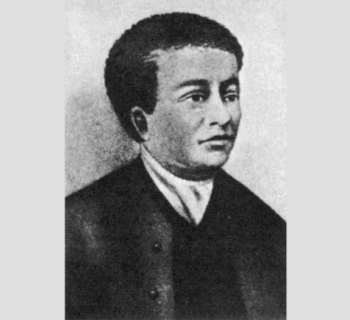 But Vieryle was not Charles and Shirnetrius' first attempt at entrepreneurialism. Prior to their current entrepreneurial endeavor, Charles and Shinetrius offered a line of men's and women's accessories. Their accessory line included watches, bracelets, and sunglasses. After a failed attempt at sustaining the longevity of their company, they realized what their setback was. Charles and Shirnetrius realized that they had not created a business plan prior to launching their company. "We took our time this time...the first time we kind of rushed into it..." But they've learned from their past experiences and like the Phoenix, their new brand rises from the ashes of their first entrepreneurial experience. There is no doubt that now, Vieryle will excel in the jewelry industry. So what is Vieryle? When I spoke with the couple, they broke down the meaning behind their brand to me; they promote self-sovereignty through four main practices: ambition, knowledge, composure, and perseverance. Those four main practices are represented by the diamond-shaped designs on the face of each watch. With the slogan (rather, a belief that provides the foundation for their company), "It's Time To Take Control," Vieryle promotes the idea of being able to make decisions about your destiny. Fashion has always been a conduit for self-sovereignty. 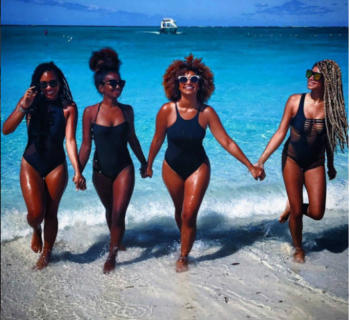 Your style can be indicative of who you are and the control that you have over your life. 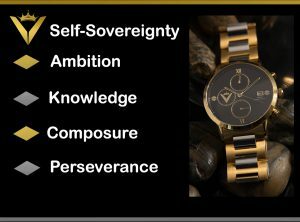 Vieryle aims to create the perfect accessory collection that will allow you to continue expressing your self-sovereignty. Aside from rebuilding their brand, Charles and Shirnetrius have also run into some financial issues. But that's ok. With the knowledge they've gained from their past experiences and the patience they've acquired while rebuilding their brand, Charles and Shirnetrius are well on their way to making Vieryle the company they want it to be. Why should you buy these watches? Each watch is made with a 316L surgical-grade stainless steel case and band, sapphire crystal scratch-resistant glass, and is 5ATM water resistant. As for the look, the Vieryle watches are crafted from genuine crocodile leather and comes equipped with a luxury butterfly buckle and an interchangeable quick-release leather band. If that's not luxurious, then I don't know what is. And, all 0f the watches are backed by a 3-year warranty. You know We Buy Black's message: support Black-owned businesses. 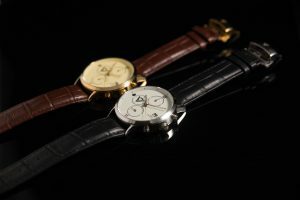 Of course, you can support Vieryle by purchasing one of their elegant watches but you can also support their crowdfunding page which will go live in May. 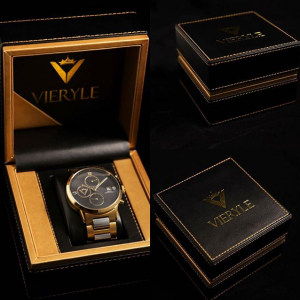 Support Vieryle watches here.